This Christmas remember our warrior for humanity, Vittorio ‘Vik’ Arrigoni. 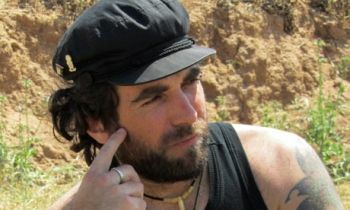 (SALEM) – When we first reported the death of Vittorio Arrigoni last April, we knew we were faced with the passing of a spirit larger than those that can be contained inside of any man, or activist; his death represented something far worse than the loss of any single person. It left a barren hole that punched through Gaza, reverberated through Italy and all of the world, creating a huge void. The magnitude of Vik’s loss was tantamount to his presence on earth. Few people ever did more and he almost certainly was one of the most inspirational activists to ever live. As we consider the gifted man whose vitality slipped away in the night, know that Vittorio, known by ‘Vik’ to his friends, wasn’t in it for himself. Every aspect of every story screams this. Vik cared about the people of Gaza, who live in a prison camp setting. He could not stand the way Israel attacks Gaza’s fishermen, or its loan teenage female captain. He accompanied them, he rolled tape, he wrote at length about their lives, their accomplishments, their deaths. Vik was shot and hurt once by the Israeli military while defending Gaza fishermen, and on another day they nearly drowned him. He helped people in their effort to survive, as they were pummeled under the fascist fist of Israel’s political prejudice. Their apartheid system has different laws for people, one set for Jews and one for everyone else. There are even “Jewish Only” roads throughout Israel. Their political punishment of perceived enemies is unforgivable and Israel’s campaign against Palestine is one against the whole world. Israel kills more than 1400 people in Gaza at a time, in a single operation, using illegal weapons and tactics; yet claims only their national security is at risk. Israel’s apologists constantly talk about rockets fired from Gaza, which are acts of futile resistance, that have killed a total of 29 Israelis in all time, ever. That is hardly a justified reason for apartheid, murder, genocide, and human abuse. This, as Israel imprisons an entire population. Zionists and Nazi’s are very similar, very close. Vik’s grandparents, Italian resistance fighters in World War Two, fought the Nazi’s and the Fascists. However all the Israeli Defence Forces ever did was treat Vik with scorn, political abuse and violence. For the brave and courageous men and women of this world like Vittorio Arrigoni, who oppose those who strike humanity from the conversation, Israel’s Zionists reserve special titles that imply that somehow all the good motives are bad. The aggressive ones accuse the human activists of not hating the violence. They claim, and their views are repeated by the press and the networks, that opposing Zionism is actually a hatred of their Jewish faith. The first and largest problem with that utterly false accusation, is that Judaism and Zionism (the belief that God authorized Jews to kill Palestinians and steal their land) are like apples and oranges. Judaism is ancient, Zionism is an idea given birth by a German in the 1890’s, Theodore Herzl. Hating them over their religion? – these are words from a language most of us don’t even understand. Does a person or group need amazing ego just to make that claim, or what? In the end the term antisemitic technically means a person is against people of the ancient Semitic languages, this means Jews and Arabs, Ethiopians, or Assyrians. Labeling those who defend Palestinians as ‘antisemitic’ is akin to claiming that those who oppose the woman-abusing Taliban are actually masking a hatred for Muslims, or inferring that abhorring the acts of the murderous Mexican drug cartels are actually bigotry toward Hispanic people. What nonsense, what rubbish. As both Egidia Beretta Arrigoni, mother of Vittorio Arrigoni, and Ken O’Keefe, our fellow writer and close friend of Vik’s in Gaza, said: he is not dead. No such person ever truly goes away; Vik Arrigoni’s legacy is here to stay. 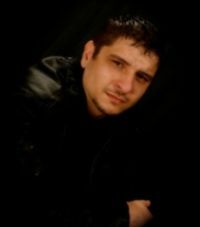 Salem-News.com Writer/Author/Musician Agron Belica, faced many challenges growing up as a rootless street youth, situations so intense that they threatened to destroy him- that is until he rediscovered his Muslim roots a few years ago and turned his life around. In 2008, Agron Belica published his research article The Revival of the Prophet Yahya, and has caused quite a stir in scholarly circles. In 2009, a new theory was born, The Crucifixion: Mistaken Identity?> John the Baptist and Jesus the Christ. With no formal advanced education, he offers new interpretations of certain key words in the Quran along with his challenging theories about the role of John the Baptist in the Crucifixion and has attracted the attention of well-known scholars in the field of comparative religion, such as Dr. Laleh Bakhtiar, the first American woman to translate the Quran into English, the noted university professor, Dr. Mahmoud Ayoub, and the author and translator, Dr. Jay R. Crook. Salem-News.com has some of the oldest and youngest working journalists in the nation. 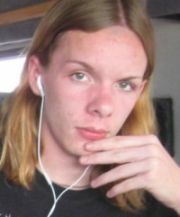 In 2006, at the age of 14, Sean became the youngest broadcast TV News reporter in the NW when he was selected as a Salem Correspondent by ATTN’s NW Teen News, which aired on Salem’s KWVT. 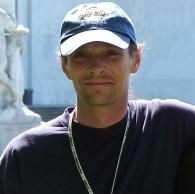 He has been contributing to Salem-News.com and assisting with technical needs ever since. A graduate of the Media Arts Academy; a special high school that specializes in art, video and Internet production, Sean also has substantial time under his belt in the cable access world, where he has volunteered for years off and on, with Salem Oregon’s CCTV group. His show ran for several months in 2005 and was a hit with younger and older audiences. Literally raised in a TV news household, Sean is able to understand and report about many things with a fresh, undiluted perspective. Sean has several videos hosted on Youtube. One of which, entitled “Cradle of Filth- My Humps” with nearly a million views, is very popular among the YouTube community.